Are You Going To Eat….. Whelks? – Food. Boom. 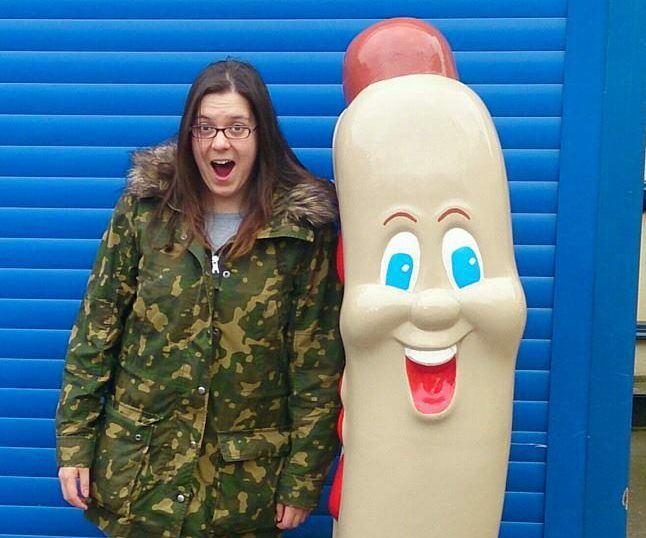 Are You Going To Eat….. Whelks? I was beyond thrilled to discover my local fish boss Terry had a glut of whelks available last weekend. Already cooked, shell on at less than four quid a kilo which meant I could add plenty to my shopping list for our fishy Easter holidays night in. I bloody love whelks. Ok they aren’t posh and salty and gilstery like oysters. They’re aren’t small and cheeky little cockney geezer cockles. 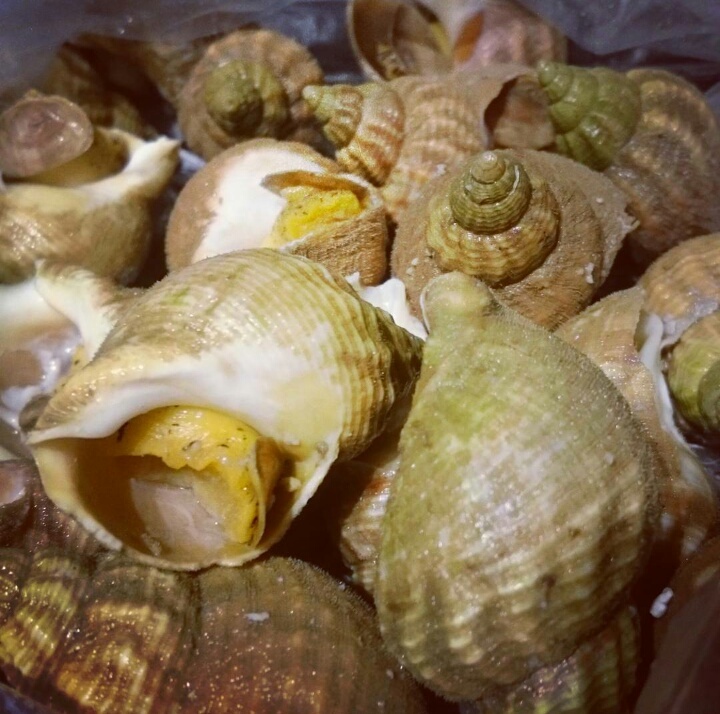 Whelks are the Dwayne ‘The Rock’ Johnson of the seafood world- big tanned rubbery lumps of muscle that just make you grin even though you know they are probably a little bit wrong. Enthralled, nay, enraptured, I turned to my co shoppers, barely containing my delight at this find only to be met with stony, tragic masks of gastro-horror. Somehow I have ended up with whelk haters in my life and a brief Google shows that I’m far from alone in this. I seriously don’t know what is wrong with you people, whelks are awesome. At about 80 calories per 100g they are a great source of lean protein with bonus high levels of vitamin B12 and ‘master mineral’ magnesium. Being a sea mollusc they have a thick, satisfyingly fibrous consistency and strong flavour easily turned to so many culinary uses. Whelks emote the sea and the cold salty wind and grandads and brown ale. All fine, stalwart British things. They are also cheap and abundant in these here British Isles. Why would you not eat whelks!? Ok apparently some people really don’t like them, and they are a bit fiddly, but fiddle schmiddle! Just boil them in the shells for 5 minutes then cool and simply pop them out of the shell with a cocktail stick. Chop off the hard end at the shell opening and scrape off the sack at the other squiggly end once you’ve got it out then serve them doused in malt vinegar and white pepper. Delicious, low fat and perfect with a pint! Not a fan of the rubbery charm of the sea snail cousin? Get them uncooked then freeze overnight to begin the destruction of the tissue as a tenderising cheat. Then you can use them as you would most seafood- boiled and tossed in a salad or stirred into your pasta sauce or awash with butter, garlic and white wine. I’m not going to let this one go into the No pile. Whelks are brilliant, healthy and all over the shop so buy some and try something new and support your local fisherman. Go Whelks! Tags: British Food, food, foodie, seafood, what mollusc would the rock be?, whelksCategories: Are You Going To Eat That?, Eat Britain!